Flexible storage options are available to suit most types of goods, apart from paints, corrosives, organic materials or certain hazardous items. We collect, prepare and store your belongings securely until your scheduled redelivery. When you’re ready, simply call us to make a reservation. We won’t store organic materials or food items. Some items intended for long term storage should be protected against changes in humidity or temperature, dust and debris. Our team can offer advice on how to protect your belongings, and which storage option is most suitable for you. Our self-storage facility is based in South West London, offering convenient 24-hour pin-code security if access is required. Our units are clean, safe and secure. Sizes range from small lockers to large units providing over 150ft2 of storage space. 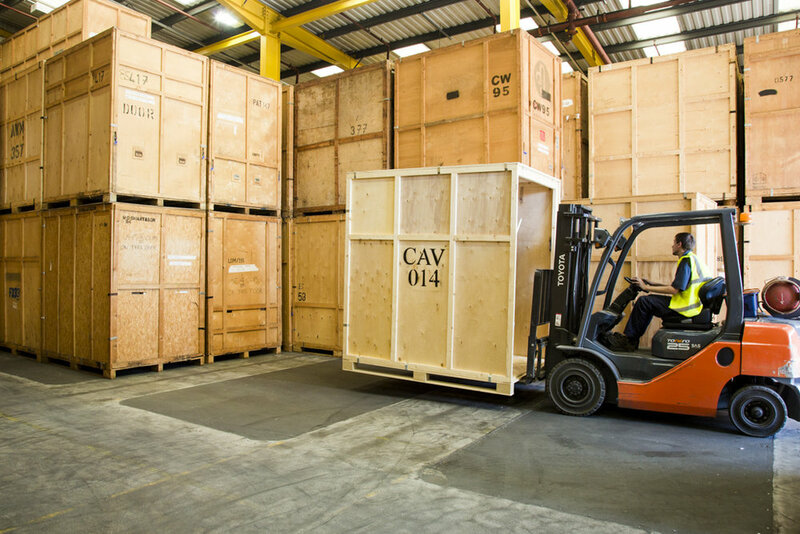 Our storage warehouse is based outside of London; offering secure storage well-suited to customers with medium to long-term storage needs or on a budget. Each wooden container holds about 250ft3 of contents and is stored in an alarmed and monitored facility.